My current research activities are in horticultural plant pathology. Many of my research topics were initially raised by fruit farmers or their consultants. The main focus is on fungal plant pathogens. I have also extensively been involved in mycology teaching, co-authoring the university textbook Introduction to Fungi (Webster & Weber, 2007) and 20 papers on teaching techniques for mycology, as well as co-editing the DVD-ROMs Mycology Vol. 1 and Mycology Vol. 2. 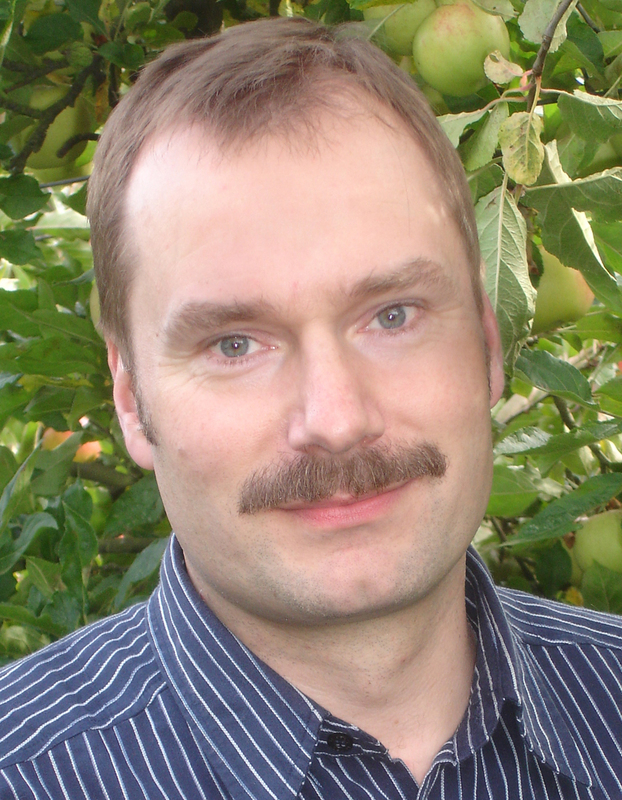 The mission of the Department of Plant Protection and Diagnostics at the Esteburg Centre in Jork (Northern Germany) is to support regional fruit farmers in controlling pests and diseases within the context of Integrated Pest Management. The epicentre of Northern German fruit production is the Altes Land, comprising about 10,000 ha of coherent tree fruit production. As HoD, my key responsibility is to issue up-to-the-hour advisory notes, of which approx. 100 per season are sent to >1000 farmers in the Altes Land and beyond subscribing to the regional consultancy service. All advice is based on results of critical field trials of compounds and treatment strategies conducted within the Altes Land, and on close day-to-day consultation with the regional advisors. In addition, I maintain a diagnostics laboratory focusing on fungal diseases. There are strong interactions also with the advisory service for organic fruit production. What do I want to achieve at AU FOOD? To view a full list of my publications please click here.